Everything was good. I stayed in a roof-top apartment in December, but it was quite warm inside and very spacious. Very friendly staff. Room was large, and although not fancy it was clean and comfortable. Location was excellent for us - we were in Vienna to see a show at the Gasometer, it’s very well located for this. 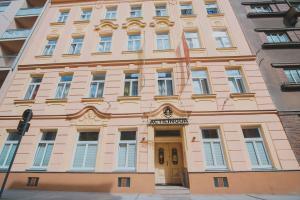 Very good value for money, the appartment was clean and perfectly suitable for short stay. This district is quiet, far from the noise of traffic. The apartment is huge, there are lot of spacious places than I've expected. It's close to the subway and tram (71). 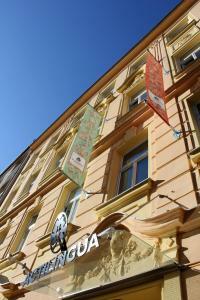 You can find shopping and eating options near to the Hotel: Billa, kebab, pizza.. Very calm and quiet, warm, superb shower, very friendly lady at reception on arrival and departure. Only 10 mins from the U-bahn. The beds were comfy, the apartment was spacious. There were shops and restaurants within walking distance. The staff were friendly and helpful and spoke good English. Anything else. Competent, informative, instructive, kind receptionist - good English speaker too. There were only two possitive things. The apartment was quite big in comparison with other accommodations in Vienna and in front off the building (or in streets around) is possible to park without any fees. Stuff was friendly and room was big. 7 minute walk to the S bahn and trams. 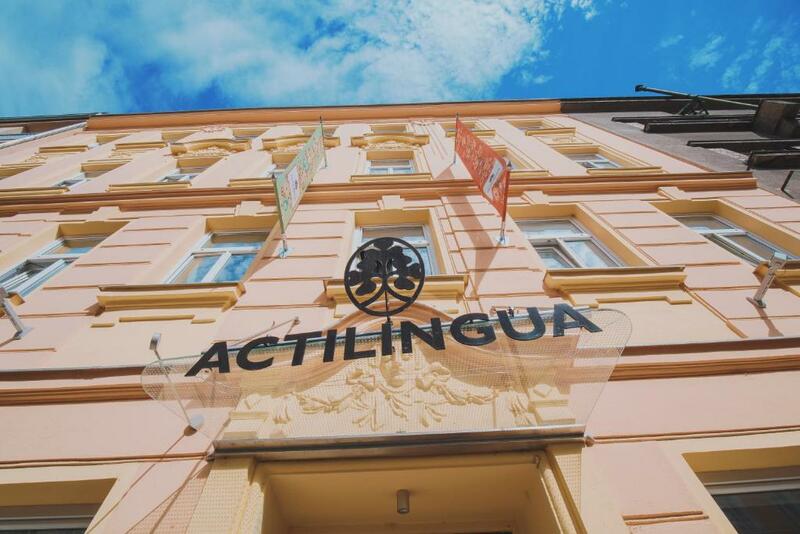 Lock in a great price for ActiLingua Apartment Hotel – rated 8.2 by recent guests! ActiLingua Apartment Hotel This rating is a reflection of how the property compares to the industry standard when it comes to price, facilities and services available. It's based on a self-evaluation by the property. Use this rating to help choose your stay! Housed in a recently renovated Art Nouveau building, the charming 3-star ActiLingua Apartment Hotel offers guests affordable accommodations in close vicinity to the city center. 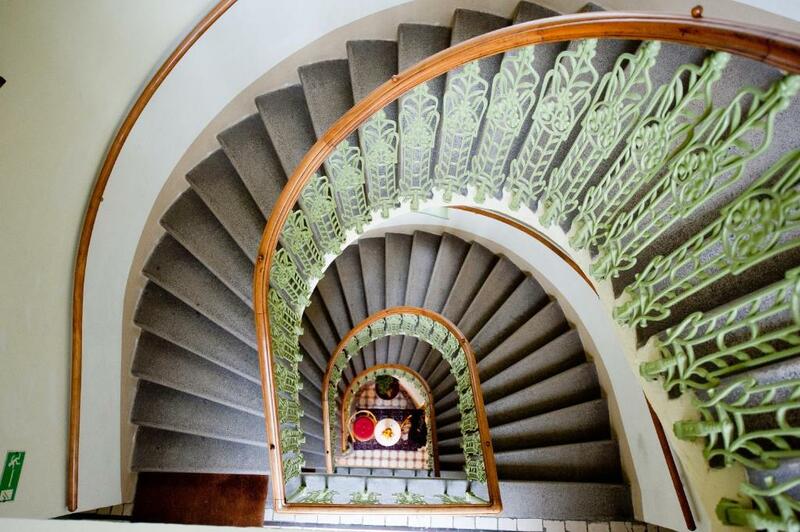 ActiLingua provides guests with well-appointed, modern apartments to suit your every need. Enjoy breakfast in the breakfast room or prepare it in the comfort of your private fully-equipped kitchen. The entire building, including all rooms and public spaces, is declared a nonsmoking area. Whether it is work or pleasure which brings you to Vienna, the hotel is ideally located for both business and leisure trips. All rooms are decorated in friendly colors and feature contemporary furnishings. For families, special family rooms are available. The attentive staff is happy to be of assistance should you have any questions. When would you like to stay at ActiLingua Apartment Hotel? Apartment with a kitchenette, satellite TV and free Wi-Fi. Apartment with 2 bedrooms or 1 bedroom and a living room, featuring 1 double bed and 1 single bed or sofa bed. The apartment features satellite TV, a kitchen and free Wi-Fi. Apartment with 2 bedrooms. Each bedroom comes with a double bed. The apartment features a living room with a sofa bed, satellite TV, a kitchen and free Wi-Fi. 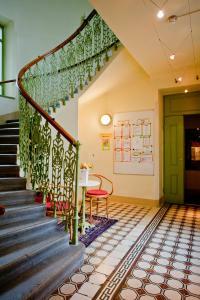 House Rules ActiLingua Apartment Hotel takes special requests – add in the next step! ActiLingua Apartment Hotel accepts these cards and reserves the right to temporarily hold an amount prior to arrival. Room was a little cold at times. When we arrived, the lady at the reception was nice, but she didn't speak in English, only German. The apartment huge, but absolutely not cosy, too sterile, however there is not enough place for packing in the bathroom. But it's ok for a short stay. The heating cannot be regulated by the guest and during colder seasons it may be chilly in the rooms. Cozy apartments with good accessories and furniture. There was no toilet paper for the first night. Staff of the day-shift did not speak English, though they did it in a kind way. Nothing really. The area is rather modest and the walk to the U-bahn is deserted at night but for the money, ease of access to transport connections and the comfort of the accommodation, ActiLingua suited me perfectly. There were two showers but one was broken and wobbly and broke completely on the last day. The sofa bed wasn't very comfortable. The TV was small and did not have any international programs, only local language programs. The location was out of town so to get into the centre of Vienna you had to either have a car or take public transport. However, there was a tram very near to the property. We found poo stains on one of the towels. That was pretty disgusting. The staff were pretty helpful. But generally I was disappointed. The upper apartment in the attic really needs reconstruction. Terrible bathroom, with small shower which is problem to close and where you can see mold in all corners, with broken wash-basin, etc. As well the kitchen equipment comes mostly from last century:-) and the dishes were really inadequate - for example just one cup for tee for whole apartment (plus some small "expresso" cups), etc. Be carefull - shown pictures from bathroom and kitchen are probably from some apartment after reconstruction, but the reality of most of the apartments (on departure I looked into the apartments open during the cleaning) is different! The workers didn't speak any english. They refused to give me the invoice. The location isn't that great. The hotel is old and smelly. The breakfast is the poorest I've ever seen. The room itself was really unpleasant, but the hotel was far to be at full capacity - still they gave me a really bad room. I don't recomend it all.